Home > Eye Treatments > What Do Intravitreal Injections Treat? Intravitreal injections were developed from the early 2000s as treatments for various retinal diseases of the eye became available. Drugs that reduce inflammation and have other effects at the back of the eye can reduce the risk of sight loss in people with various forms of eye disease. Steroid treatments and inhibitors of vascular endothelial growth factor (VEGF) can both help but if these drugs are injected into the bloodstream to find their own way to the retina, they can cause serious side effects. To ensure that an adequate amount of the drug treatment reaches the retina, doctors developed a way to introduce the drug directly into the eye. This can be done by intravitreal injection, or by putting in place an intravitreal implant. These release their drug slowly and steadily over days, weeks or months. Because the drug is introduced into the vitreous, the gel-like substance in the centre of the eyeball, only very small amounts are needed to have an effect on the eye condition. The eye also forms a natural barrier, and negligible amounts of the drug are able to escape from the eye and enter other parts of the blood stream and body. The intravitreal route of administration is therefore very efficient and effective, providing that the drug chosen is effective against the disease. Intravitreal injections are used to treat a variety of eye diseases using either steroids, anti-VEGF inhibitors or other drugs. People with age-related macular degeneration, diabetic retinopathy, uveitis (inflammation of the inside of the eye) and retinal vein occlusion can all be treated using this method. All of these diseases share a common effect in that they cause swelling and fluid build up between the layers of the retina, at the point where maximum visual acuity occurs. This point is called the macula, and is where the highest concentration of rods and cones occur in the retina. These photoreceptors are responsible for colour vision and for our ability to distinguish lights and darks, and the macula gives us our fine focus when we look directly at an object. When the macula becomes inflamed and swollen, it does not take much to completely disrupt someone’s central vision, leaving them with a large central blurred or blind spot known as a scotoma. People with age-related macular degeneration experience a relatively gradual loss of sight as the macula swells, but someone with a retinal vein occlusion can become almost blind in one eye overnight. This is because a vein that takes blood away from the retina becomes blocked, causing widespread damage to the retina due to a sudden rise in eye blood pressure. Currently several different medications are delivered close to the retina using a carefully controlled injection into the middle of the eyeball. Avastin, Lucentis, Kenalog and Ozurdex (a slow release implant) are the main drugs currently approved. Not all are approved for the same diseases; Lucentis for example is approved for use in wet age-related macular degeneration only. To date, around 100 000 patients with wet AMD have been treated by intravitreal injections of Lucentis and clinical trials and observations show that it does delay sight loss significantly. Although the thought of having an eye injection is not exactly appealing, this is a fairly non-invasive treatment that is usually done in an outpatient clinic. The whole procedure takes only about 20 minutes but you will probably be in the clinic for 2-3 hours, taking into account preparation and recovery. The patient receiving an intravitreal injection likes down and the eye is anaesthetised with eye drops and kept open using specially designed clips. The injections are done by a specially trained ophthalmologist who regularly does this type of treatment. This is the kind of therapy that is best done by an expert with plenty of experience as there are potential side effects that are more common if the injection is done badly. The needle used for the intravitreal injection is very fine and introduces an implant or a solution of active drug into the vitreal space, from where it can diffuse easily to the retina. Implants can work over time and may only need to be repeated 3 or 4 times a year. 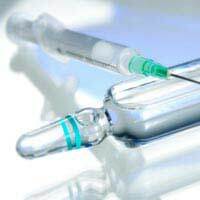 Many anti-VEGF agents need to be injected once a month to have a sustained effect on the retina. Research in this field is still very active and it is expected that new drugs will be developed in the future. Implants may be developed that work for longer periods, reducing the number of injections required for long-term treatment. Really interesting and well covered.